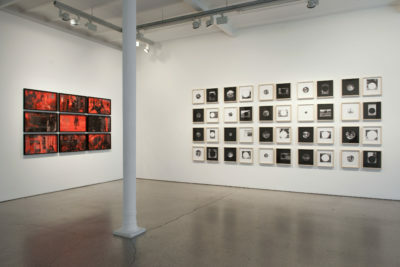 Greta Meert Gallery presents the third solo exhibition of Iñaki Bonillas (Mexico City, 1981). 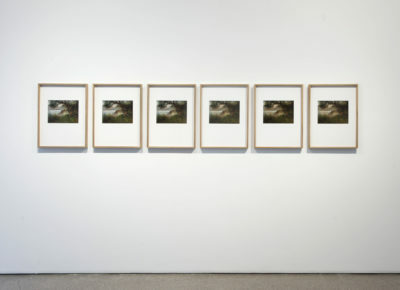 The work of this Mexican artist is constituted as an analytical and empirical research into the photographic medium and its production of images. 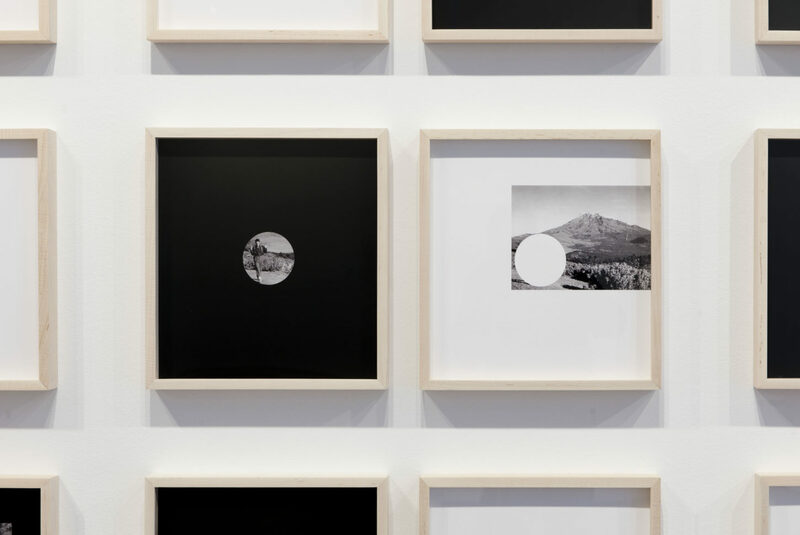 Through numerous experiments with mainly analogue apparatuses, development methods, carriers, light sources, etc in his practice Bonillas shifts the attention from the subject to extra-photographic factors. Starting from the material reality and the technological process he revalorises photographic objectivity. More often than not the image itself is taken out of the photograph. Although they lack external reference, description or representation, Bonillas’ ‘imageless’ works possess an explicit poetical quality. The artist not only masters light, in all its degrees and distortions but he also pays close attention to the auditive and textual aspects. A more personal touch is involved in the uncovering of the photo archive of J.R. Plaza, Bonillas’ grandfather. Apart from its intense biographical value, the significance of this archive also lies in its having been frequently exhibited since 2003. Indeed, the fact the amount of images is confined does not appear to limit the formation of meaning. 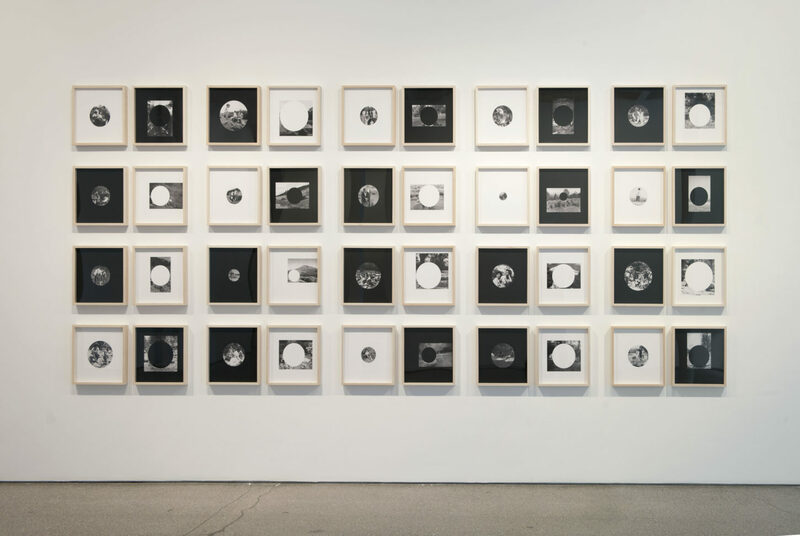 Rather than a reconstruction of reality, Bonillas delivers a comment on the status of photographic reality. In twenty photographs from the archive, the central composition, Dias de Campo, tells the story of a family tradition: eating and relaxing in the countryside, alfresco. 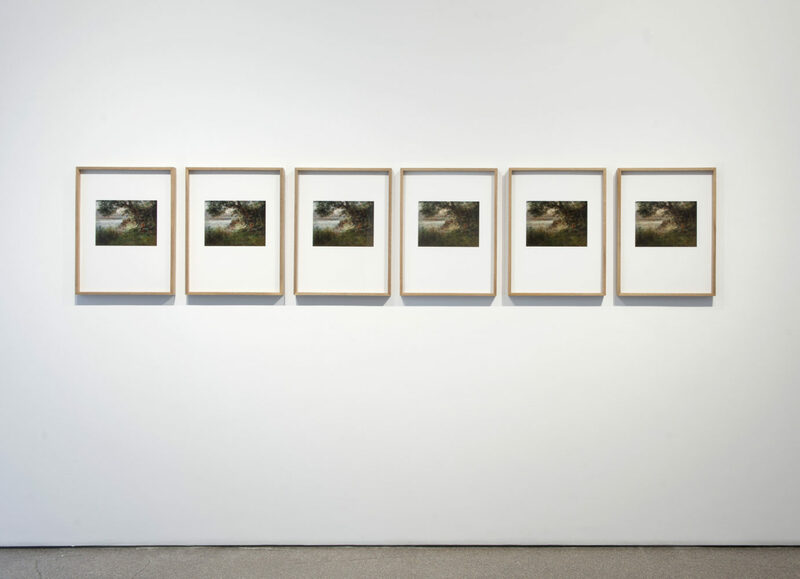 As the archive evolves over time, the frequency of these shots diminishes and the artist experiences this development as a rupture – with a tradition, with a way of living, with our relationship to nature. In a play with photographic codes each image is broken up into a negative and a positive, creating a contrast between the photographic and the real space, between the natural and the human ‘sphere’. 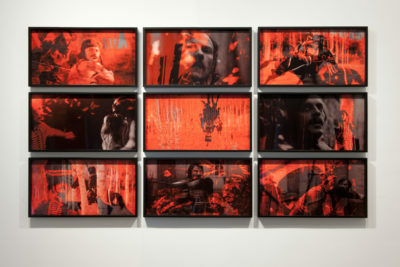 The theme of a disused tradition is taken up again in The Duel, a dynamic field of action, consisting of nine combinations of film stills from Ridley Scott’s The Duellists (1977). The film is based on Joseph Conrad’s A Military Tale, which sets out from the concept of the duel as “that point of honour”. 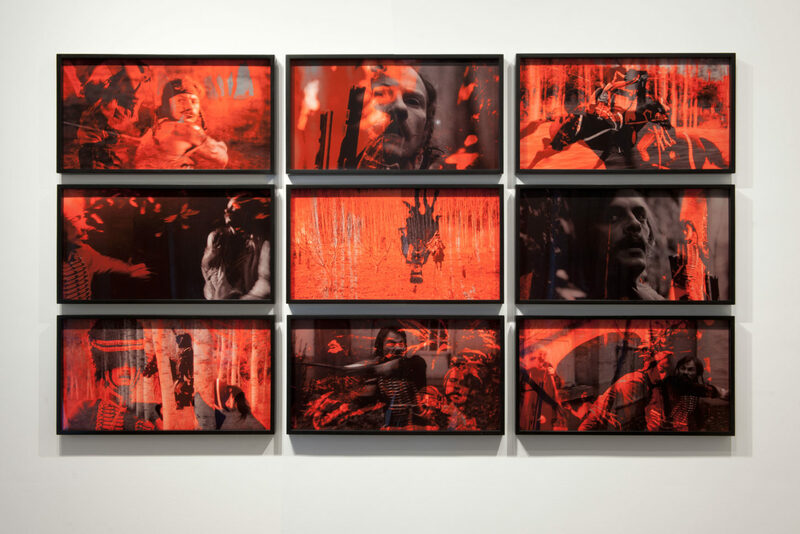 In the photographic staging the battle is both between the duellists and between the images themselves, bathing in symbolic red. A third work is titled Germinal, after the verb ‘to germinate’ and the name for the first month of the spring quarter in the French Republican calendar. 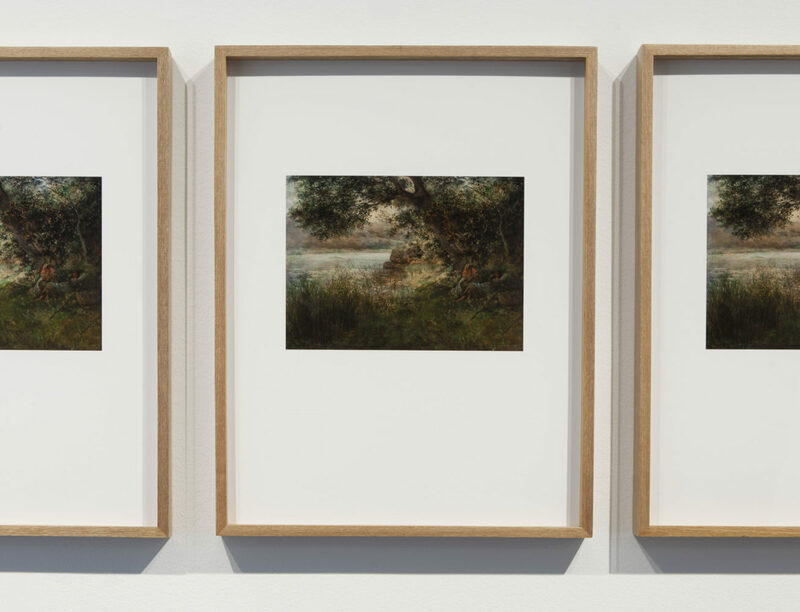 Six photographs register the restoration process of a late 19th century painting of a bucolic scene depicting two girls in the country. Each photograph differs a tone from the previous one, as if the light was wlowly germinanating (or decaying, depending on which perspective). A second discourse, more rooted in art history, refers to the original image – the painting – as the ‘germ’ of the photographic material.